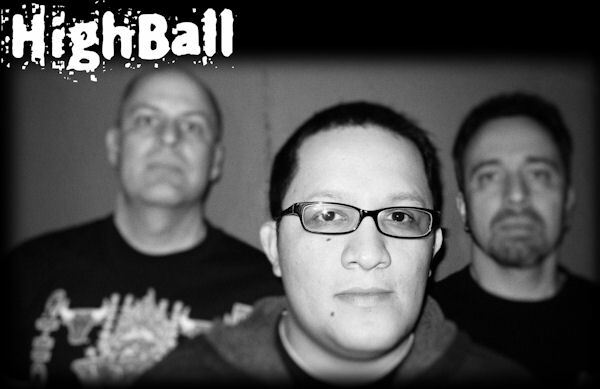 HighBall is the epitome of the true Chicago punk band. Formed in October 1999, the trio started out in the depths of a Chicago basement. The music is edgy and raw often compared to the sounds of Chicago legends Screeching Weasel. Punchy chords, sing along choruses and high energy is what drives the original songs inspired by life, love and the daily grind. Highball was quick to get out of the basement and onto the stage playing live shows all over the Chicagoland area with a set of quick punchy songs. Highball’s extensive discography includes a feature on the compilations Play with the Dogs and the Underground Movement 3. In 2006, with a new lineup, Highball was added to the All Ages Zine compilation and released a split CD with Chicago area band After the Fight. Two more EP's were released Order UP! followed by The Basement Tracks. An icon of the Chicago music scene Highball has been featured on JBTV, along with various video play, and Q101 Chicago Local radio 101. HighBall will continue to define their music with tremendous energy and onstage presence bringing fans the style of music to which great rock legends owe their success.